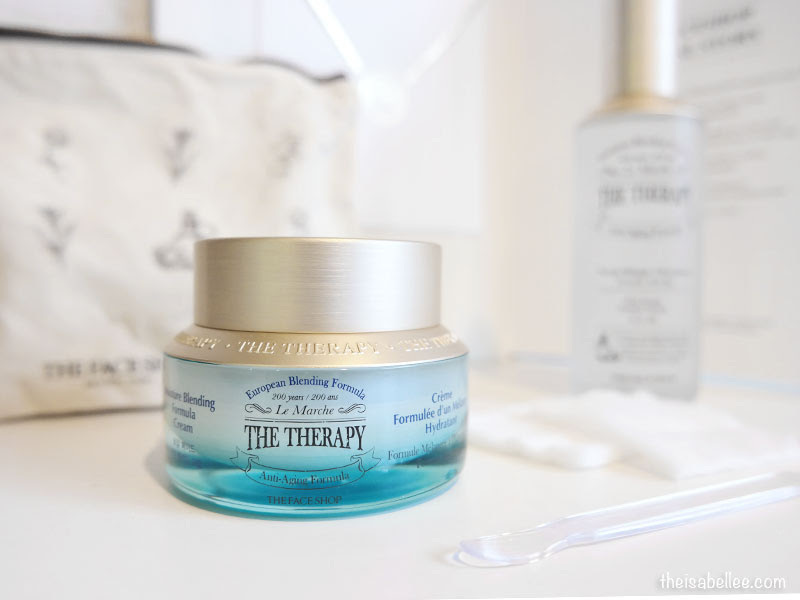 The Face Shop brings you The Therapy range which is formulated using a European blending therapy that has been used to beautify skin for over 200 years. Took an unboxing video because it was just so pretty! Containing crystal particles, Thalassotherapy essential water and 3 essential oils, it assures optimum skincare results by restoring balance to skin. It enhances hydration and gives glowing, radiant skin. 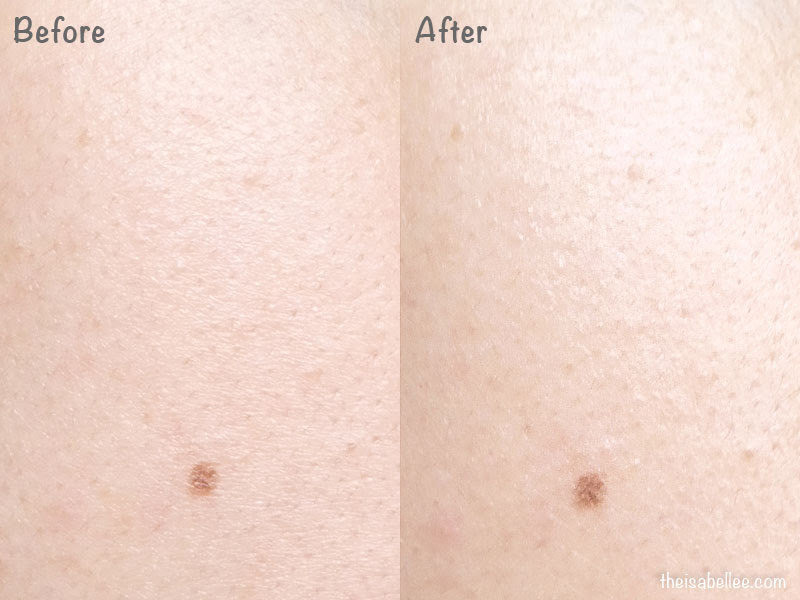 It's called the First Serum because it is to be applied first before all your other skincare! It works to enhance the other skincare you apply after it. The first thing you will notice is oh my goodd! It smells amazing! So fresh and natural, I want a perfume like this! I definitely do not mind using this every day. 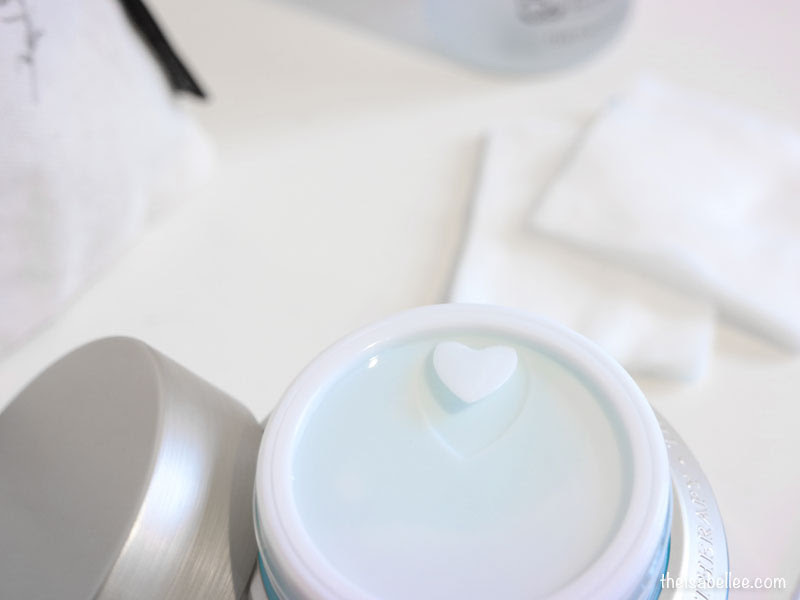 I have a thing for beautiful skincare and this just won my heart over. I absolutely love love loooove the bottle. It's heavy glass so be careful where you place it! Comes with a cap and pump which is great since the product is very watery. The pump makes it easier to control. The product is almost like water and is really light. 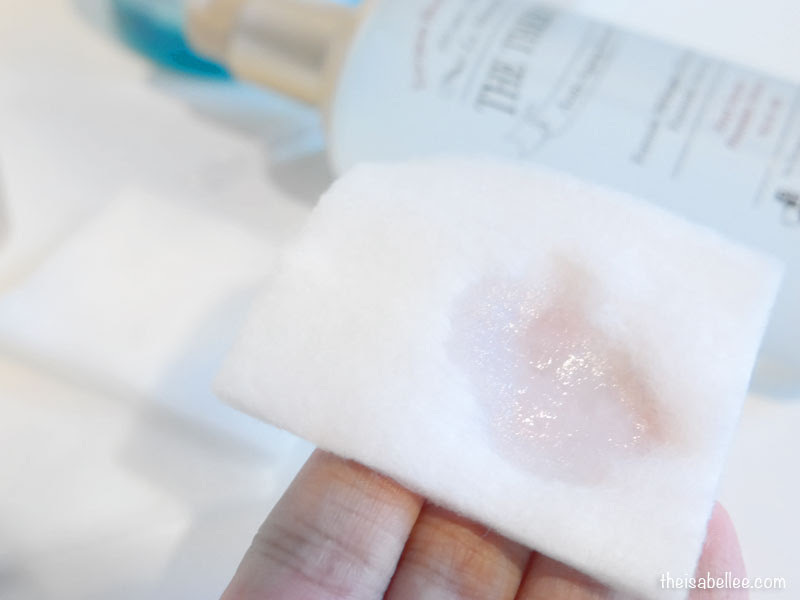 You can also apply with a cotton pad to gently exfoliate your skin. 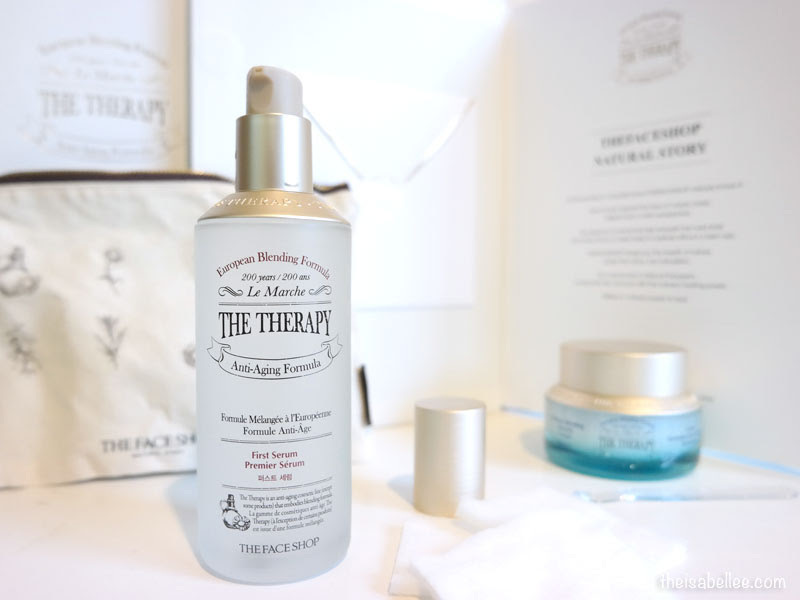 Right after cleansing, apply The Therapy First Serum as the first step of skincare. 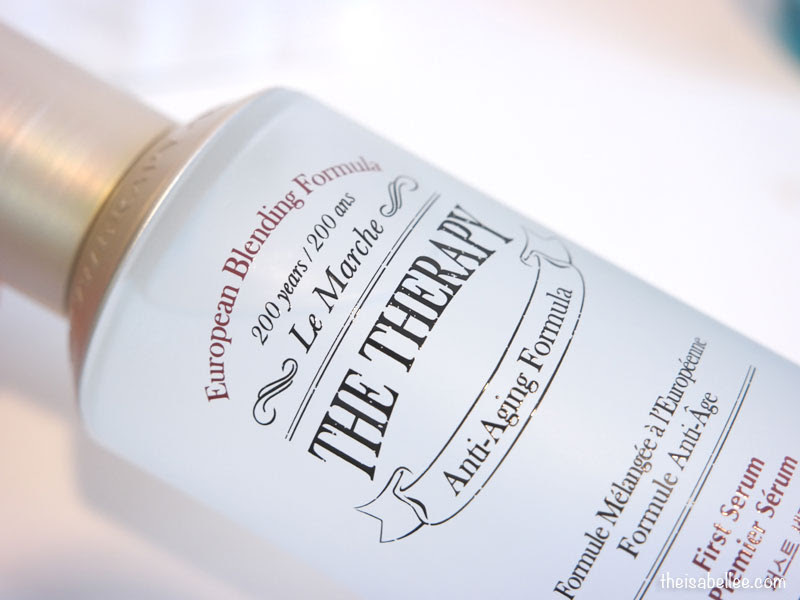 The serum boosts the absorption & effectiveness of any treatments used after it. Awesome! Now you get more from all your other skincare, may it be for oily, aging, dry or combination skin. 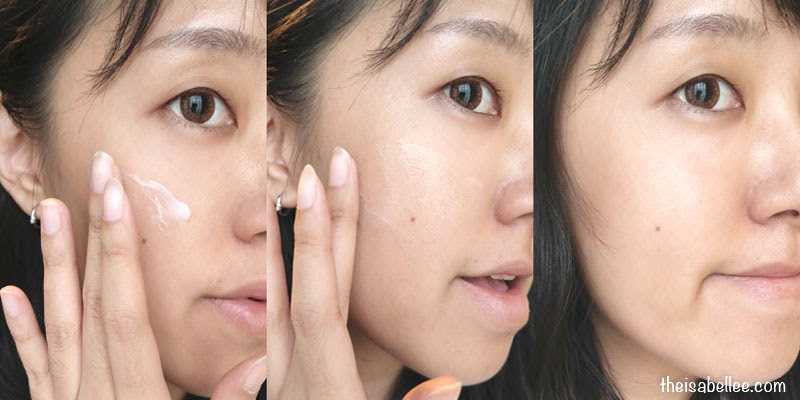 It doesn't really matter as you can consider this a booster for any skin type. 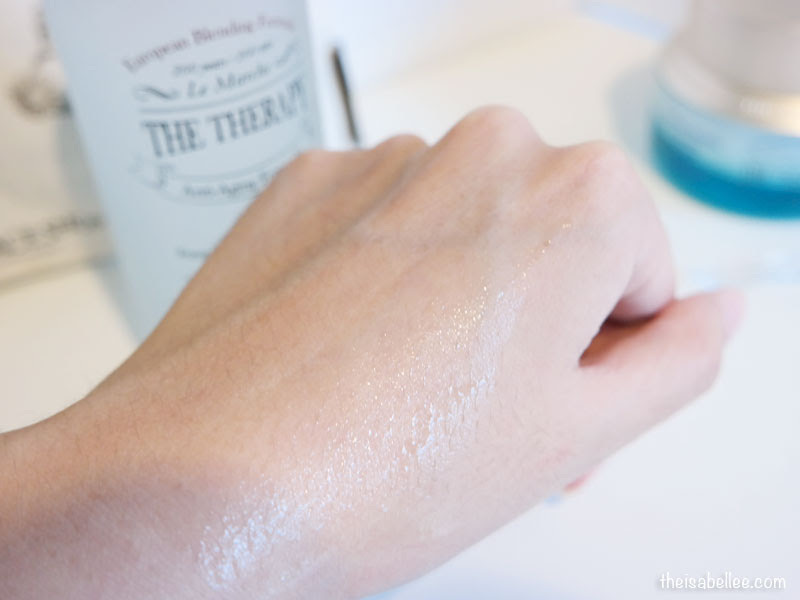 Massage - After shower, pour serum on palm and gently press on the temple, cheek and behind the ear. Inhale deeply as the sandalwood oil carries relaxing properties. For now, I will be pairing it with another The Face Shop product. 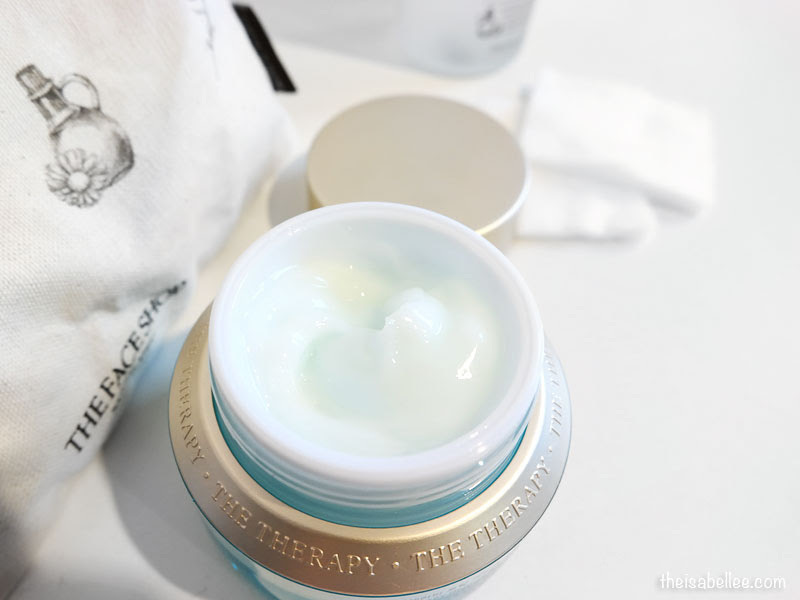 Enriched with minerals from the sea, this luxurious gel cream has anti-aging and hydrating properties. The heart shaped tab on the cover is so lovely! 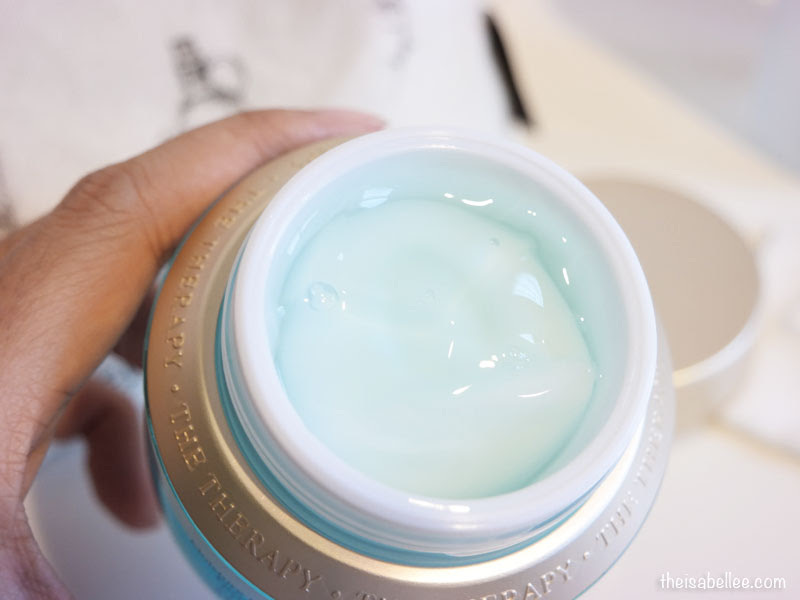 I was quite shocked to find the two layers in my jar of The Therapy Moisture Blending Cream. The clear layer on top is a combination of Thalassotherapy water and 3 essential oils while the lower opaque layer is rich moisture gel cream. Mix mix mix for 10 seconds until both the layers are integrated. Ta-da! My Moisture Blending Cream is ready~ It turned out really smooth and silky. It spreads wonderfully and isn't oily. Just use the right amount and massage it in. 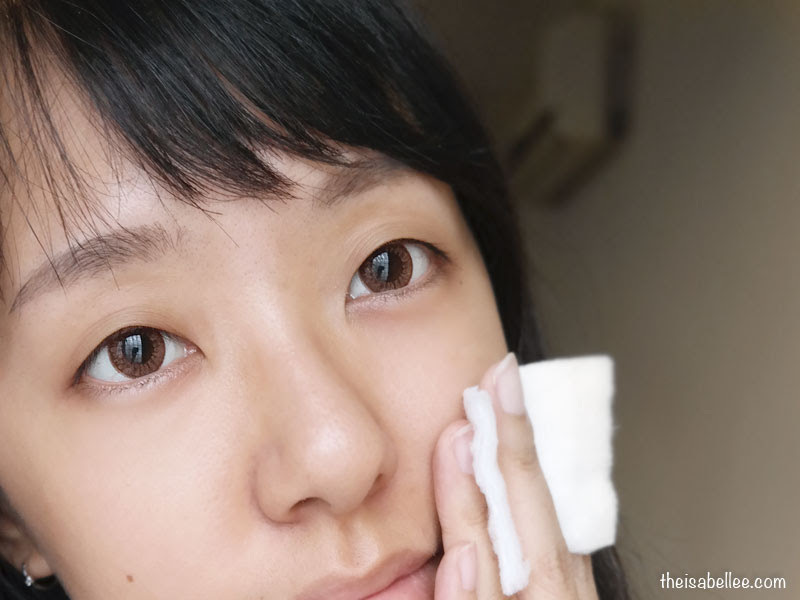 Skin is evidently more hydrated and plumped even after 1 usage. I haven't used it long enough to see long-term effects yet but so far I'm liking it! 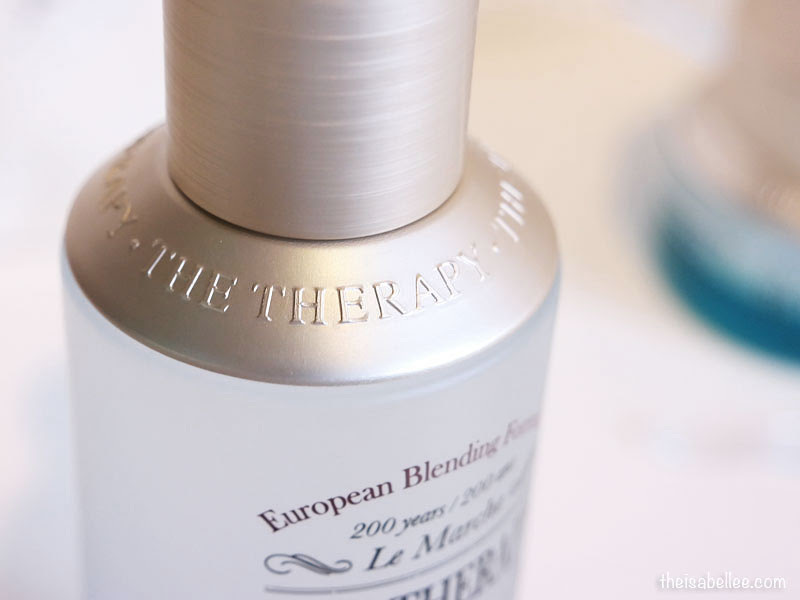 Loving this The Therapy range that looks, smells and feels so luxurious! Now you can bring the healing powers of European sea water into your home. The products can be purchased from The Face Shop outlets. 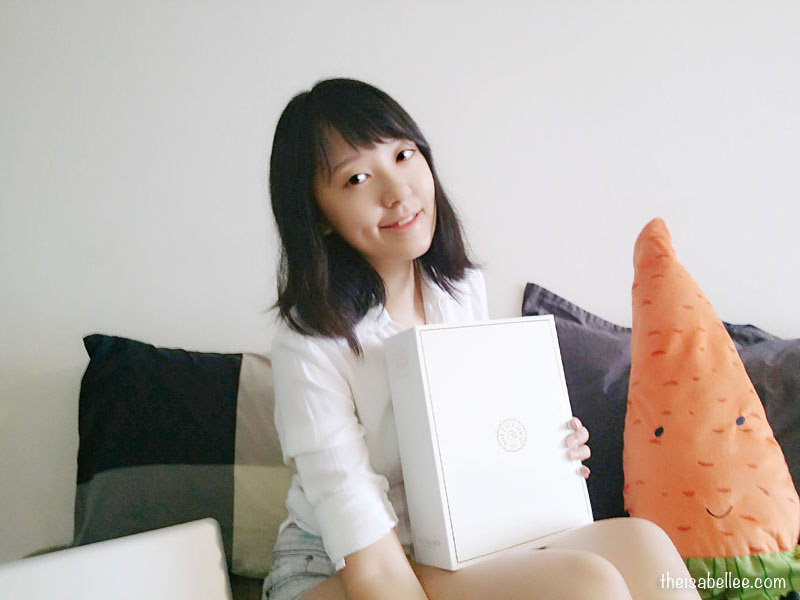 Agree with u the unboxing video really pretty the packaging! I like how it made ur skin look more volume after using. The packaging looks so atas! I would like to try this should be suitable for my extremely dry skin! looks nice to use. this brand I haven't try yet. wow...the product so great!!! the result looks so great!! 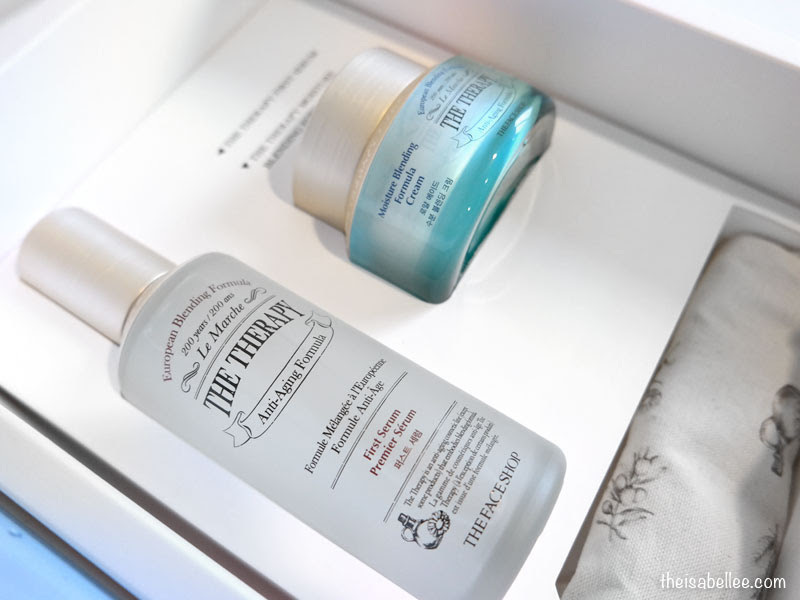 The packaging look nice... will explore it during next visit to The Face Shop. What a good review that you did for this serum. The Face Shop is running a promo currently. I better grab. Love their packaging. Seem nice to be use. I like the packaging so much and is a good products for dry skin. The packaging super classic and lovely! It makes me feel like I want to have them for collection! 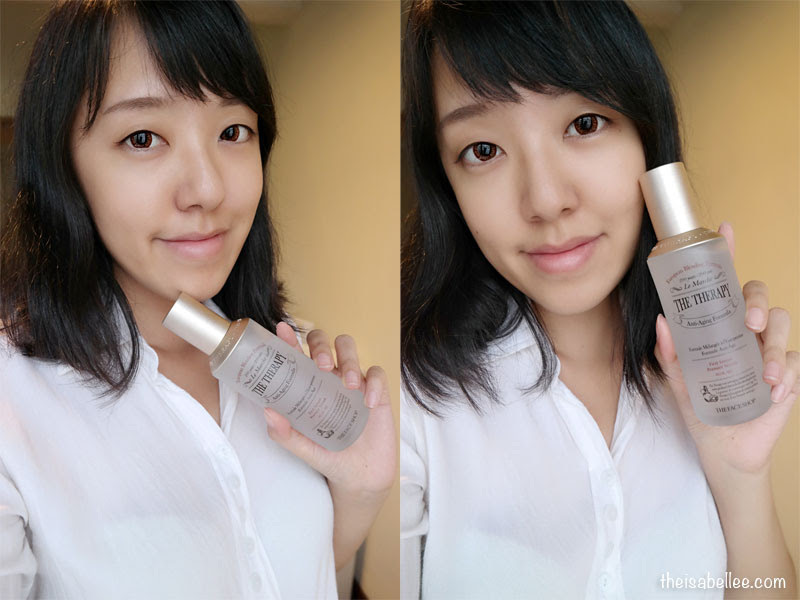 I'm a fan of korean skincare products ~It seems got the effect on your skin.. Will check out their products! Loving this product =D Your face looks pump up and so moisture after using the products! seems moisturizing and helpful. Would love to try out!